We are amongst the reputed and trusted manufacturers of Waste Water Treatment Plant. All those plants are sturdy in construction, these plants find application in different industries and commercial establishment. Manufactured as per industry specific parameters, these plants are safe to operate, easy to maintain and low on maintenance. 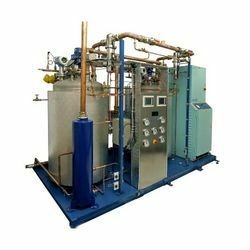 We are engaged in the fabrication of Effluent Treatment Plant that is designed in line with the treatment process requirements of our clients. With the assistance of our engineers, we have successfully installed plants in strict adherence to detailed engineering procedures as per industry specific parameters. Usage Commercial and industrial use. We are the leading Manufacturer of Sewage Treatment Plant and our product is made of good quality. Reduce bod and TSS present in water. The treated sewage can be used for gardening, flushing, and draining.